Windows 10 features one of the game lovers without any difficulty, without problems in the game to use the operating system, we fall, and yes, if the question is true of Windows 8 is true. We like to play the game lovers Windows 7 stably running games in the same way. The fact that the Fps are quite low also disturbs our nerves in games. - HKEY_CURRENT_USER \ System \ GameConfigStore. We open the part. - HKEY_LOCAL_MACHINE \ SOFTWARE \ Policies \ Microsoft \ Windows windows can be opened by right-clicking on GameDVR. Create a new key with the name. - Right-click on GameDVR again, AllowGameDVR. Create a DWORD (32-bit) Value. 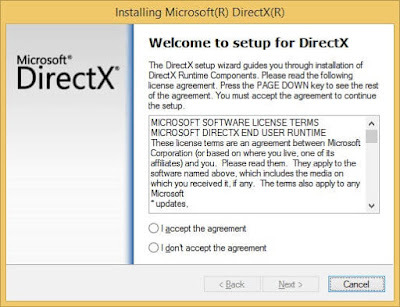 In some games, you might need old directx libraries, so you should always install the old directx library. This is not only relevant to fps, but also a very useful process in many 3D applications. Windows to the latest version by upgrading a lot of performance problems over time, we see. Not all of these updates are security, but some are performance updates. Therefore, make the latest updates to windows 10 and restart your computer. Note the FPS values in the game again after that. After doing all of these steps, you can comment on whether the fps problem has improved or not.